On this beautiful sunshiny day, passengers cross the walkway to step onto the Valley Gem, a beautiful sternwheeler on the Muskingum River in Marietta, OH. Then everyone has to find their favorite spot to view the river. A few stay below in the enclosed cabin watching through the windows. 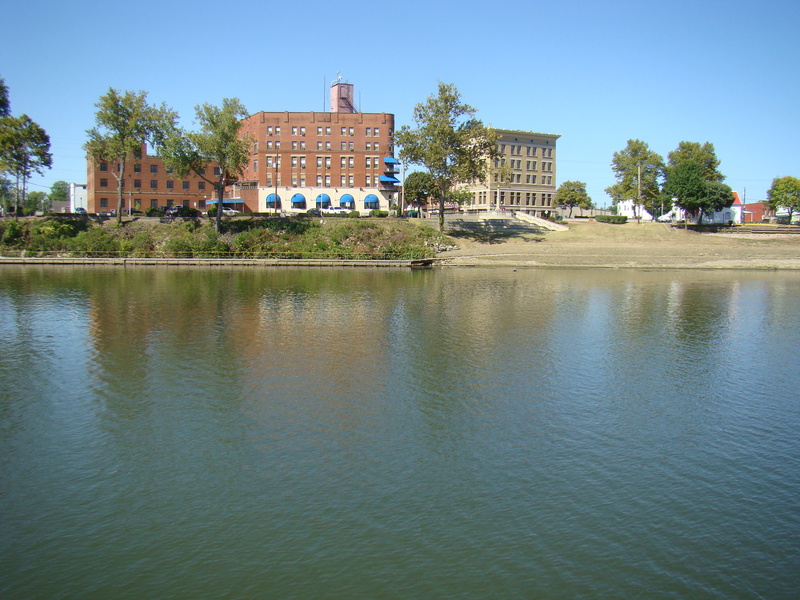 Most however climb to the upper deck where they can view the river and its banks quite easily in the open air. Round tables on the upper deck create a friendly atmosphere for visiting while waiting for everyone to get on board. Or perhaps you would rather stand at the railing and watch the world go by. 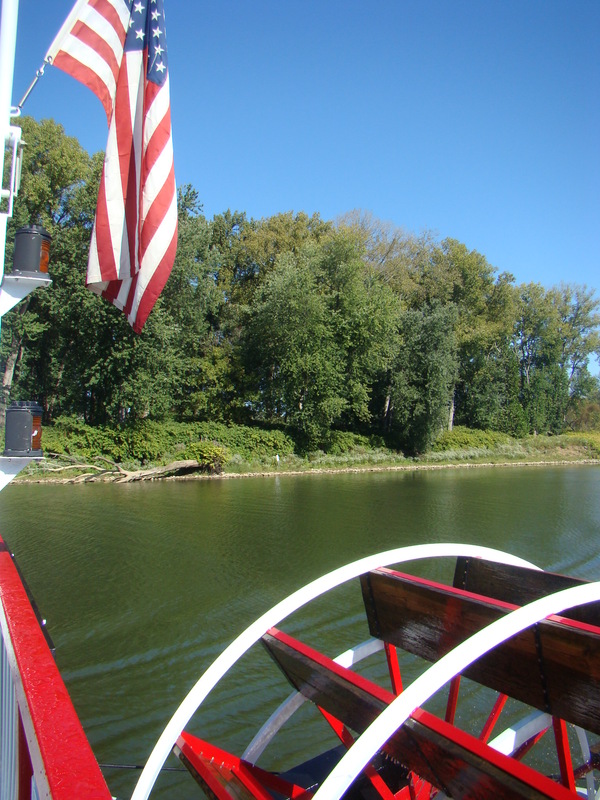 Sit back and relax as the captain of the sternwheeler gives a great descriptive discourse as we head down the Muskingum River and join up with the Ohio River. He tells history of many places along the banks and also some stories of happenings long ago on the small islands that we pass by. If you are thirsty or just want a snack, there is a snack bar on the first deck. It is managed today by the friendliest young lady, who also doubles as a caterer on the evening dinner cruises. Drifting along the river is a great time to relax with friends and share life adventures. This is a pleasant time so everyone is in a good mood. One of the great spots for viewing is standing at the rear of the boat so you can watch the large paddle wheel as it works its way through the river. You might get splashed or sprayed now and then, but on a warm day that can be quite enjoyable. When walking down the steps to the main cabin area, there is a roped off section where you can stand and the river is just a short distance below. This really gives you the feeling of being on the river. Valley Gem also rents the boat for private parties, even weddings. Take a dinner cruise some evening and taste their great buffet. The lights along the river make the trip extra beautiful. When the cruise came to an end, that pleasant young lady in the gift shop was right there tying the boat to the dock. Then she, along with the captain, thanked everyone as they left the boat. She was a multi talented young person and made a great impression on the guests. Great day for a cruise down the Ohio River.